The New Year has sprung and that means you have to dust off that old resolution notebook and jot down your goals for 2019. Most years, you probably focus on things like eating healthy, learning a new skill, or starting a new workout regimen. 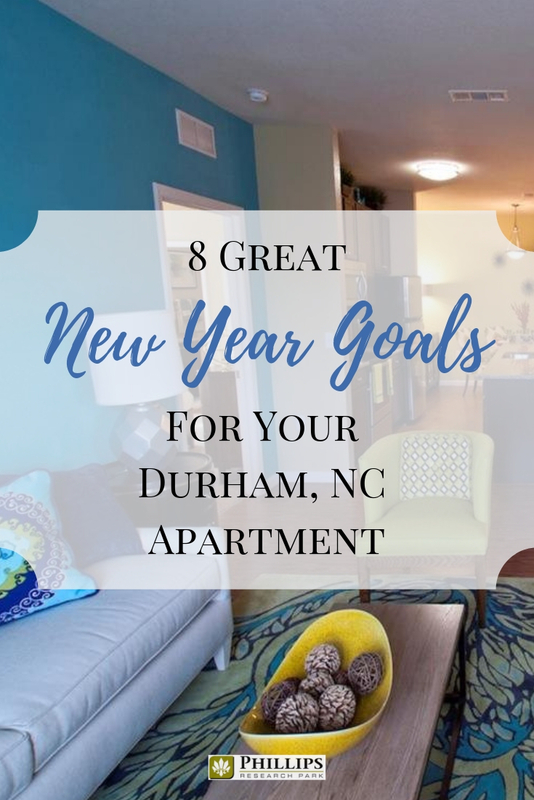 What if this year you switched things up a little bit and showed some love to your Durham apartment? Sounds like a good idea, right? You can start the new year off with a fresh slate if you get rid of all that clutter that is holding you back. It always seems to turn into a mountain by the time the holidays roll around each year, and it just continues to compound if you don't nip it in the bud. To keep from feeling overwhelmed, you can do your de-cluttering on a room-by-room basis or work in 30 minute sessions. You can find a few strategies here. Living in a Durham apartment means you can't just go ahead and install solar panels on the roof, but you can still do a few things to make your home a little more green for 2019. Make a conscious effort to use less energy by turning off lights when you leave a room, using LED light bulbs, and turning the heat down a little. (You can always put on a sweater if you get chilly!) It may not seem like you are doing much, but if everybody does this little bit it becomes quite a lot. Recycling is another way to live greener. You could also use reusable water bottles instead of buying disposable. 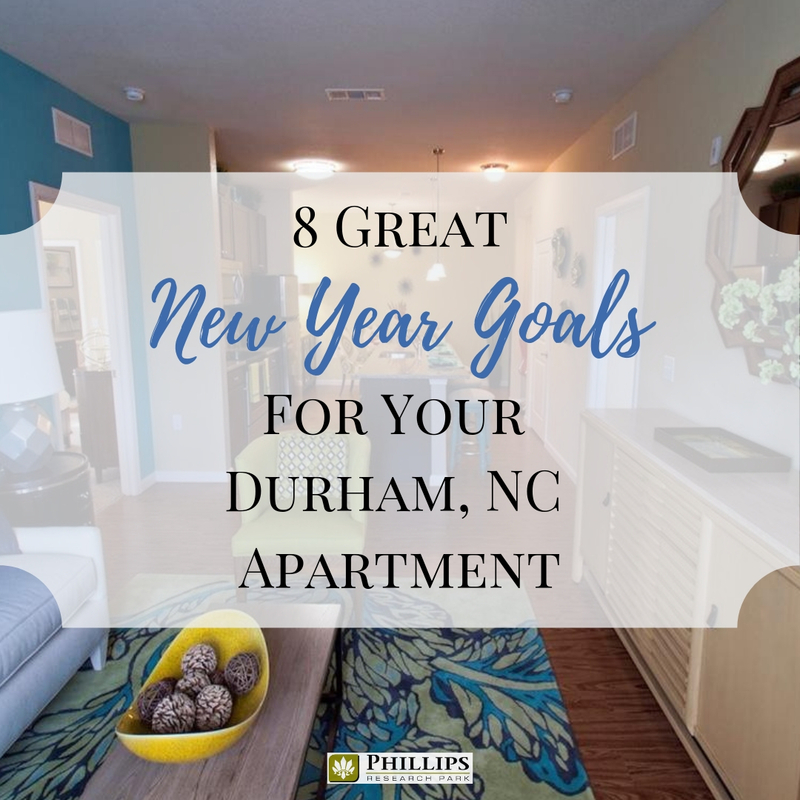 Give your Durham apartment the new year, new you treatment by doing a little bit of rearranging. You don't have to go completely Feng Shui, but even just moving things around a little bit can give you a fresh outlook. Try rearranging your living room furniture to give your room new angles. Another option is to switch which side of the room your bed is on. If you have kids, you can try switching their stuff around too! Make it a game, and your little ones will love to play along. If you haven't already purchased a renters insurance policy, you should absolutely make it a goal for 2019. Renters insurance will protect you from having to replace all of your belongings out of pocket should something catastrophic happen. The structural part of your Durham apartment is covered by the property insurance, but that doesn't cover your personal belongings. You need a solid renter's insurance policy to cover those. All your decluttering efforts will be for naught if you don't keep thing tidy afterward. Make yourself a handy-dandy chore scheduler, and you can plan out what needs to be done. Assign days of the week or month when things should be cleaned, and you will be on track for an organized and tidy new year. You can find a list of chores that should be done here. 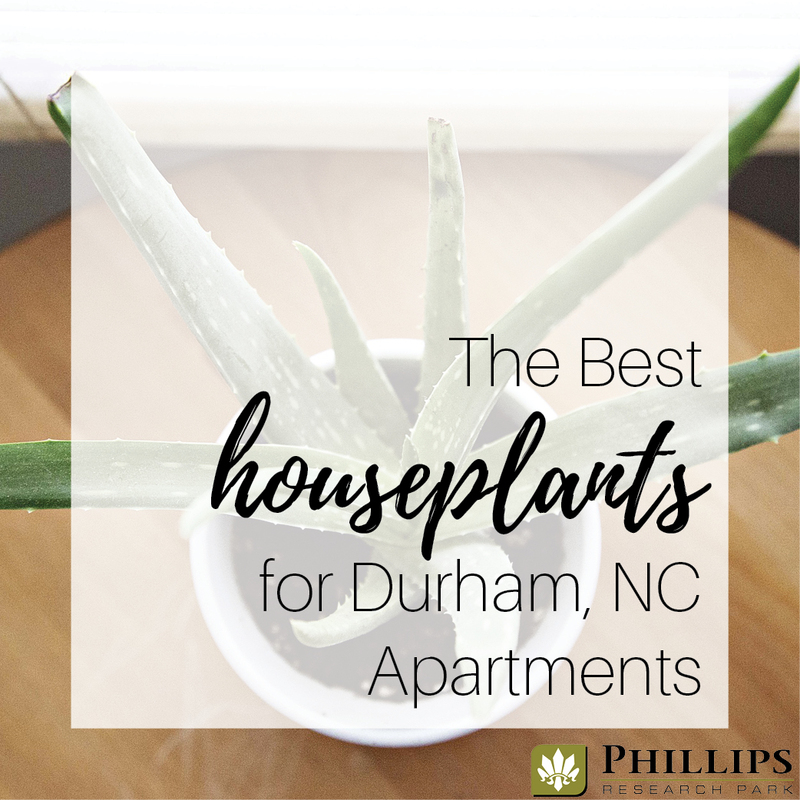 Your Durham, NC apartment can be full of fresh and clean air if you add a little bit of greenery to it…houseplants! There are plenty of houseplant varieties that thrive in low-light settings and are also low maintenance. Add a bit of green to your life and your apartment! They not only help filter your air, but they also double as lovely decor, especially if you combine them with cute decorative planters. There are many different ways that you can make a few upgrades in your apartment. You can opt for a set of luxurious, high thread-count sheets that will have you sleeping so cozily all year long. Another great option is upgrading your couch or your dining room table. You could even spring for a new set of silverware. Adding a little bit of new bling to your apartment will make something ordinary (like going to sleep at night) feel super special. Besides, aren't you worth a little something extra? 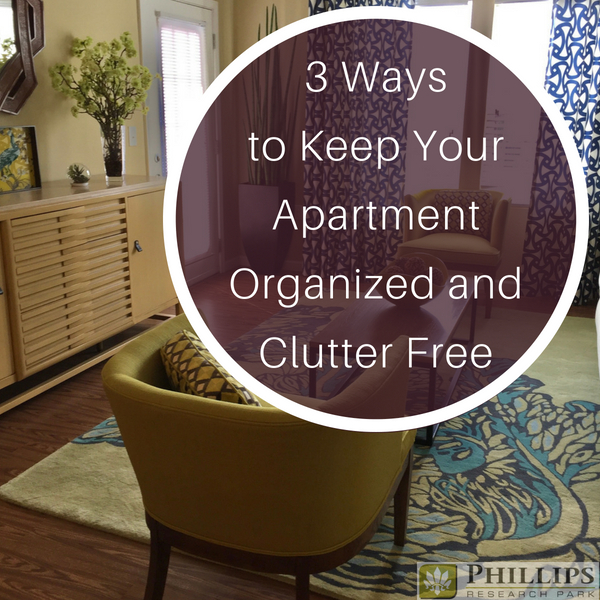 Once you have your apartment de-cluttered, tidied, and upgraded, why would you not want to show it off? Make a new year's resolution that you will be happy to keep, more fun times with your friends and family members! Make a goal to entertain on a monthly (or even a weekly basis). You can have a ton of fun planning out the menu or creating custom cocktails for your dinner party. All these apartment goals will turn your space into more than just the place where you eat and sleep, they will truly make your Durham apartment feel like home. Pick one or two…or go crazy and try them all!